Derraik, J.G.B. “The pollution of the marine environment by plastic debris: a review.” Marine Pollution Bulletin 44. (2002): 843. The amount of plastic produced from 2000-2010 exceeds the amount produced during the entire last century. Thompson, R.C. “Plastics, the environment and human health: current consensus and future trends.” Philosophical Transactions of the Royal Society Biological Sciences. 364.1526 (2009):2153-2166. An estimated 100,000 marine mammals and up to 1 million sea birds die every year after ingesting or being tangled in plastic marine litter. United Nations. Marine Litter: Trash that Kills. Web. 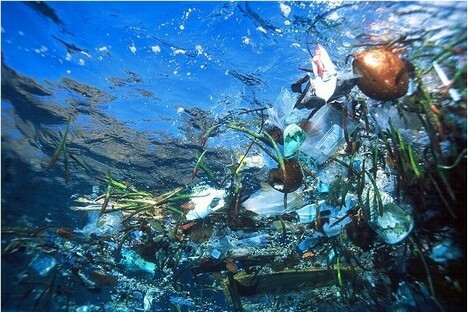 14 Feb 2011. http://www.unep.org/regionalseas/marinelitter/publications/docs/trash_that_kills.pdf, pp.10. In 2009 about 3.8 million tons of plastic waste (bags, sacks, and wraps) were generated in the U.S., but only 9.4% was recycled. United States Environmental Protection Agency, 2009. Web 14 Feb 2011. http://www.epa.gov/osw/nonhaz/municipal/pubs/msw2009rpt.pdf. Plastic bags are problematic in the litter stream because they float easily in the air and water, traveling long distances and never fully breaking down in water. Plastics do not biodegrade, but instead break down into particles that absorb toxins, and enter the food chain through fish, sea birds, and other marine life. Williams, Caroline. “Battle of the Bag.” New Scientist. (2004): Print. 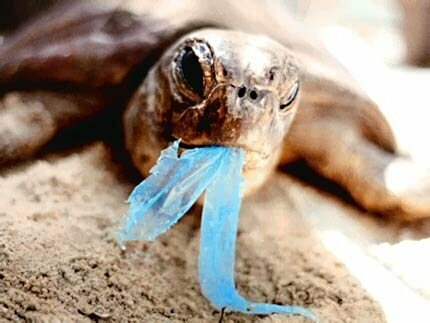 Cleanup of plastic bags is costly. California spends $25 million annually to landfill discarded plastic bags, and public agencies spend more than $300 million annually in litter cleanup. Californians Against Waste. “The Problem of Plastic Bags.” http://www.cawrecycles.org/issues/plastic_campaign/plastic_bags/problem. Americans go through an estimated 100 billion plastic bags a year, or 360 bags for every person (adults and children) in the country. Royte, Elizabeth. Garbage Land: On the Secret Trail of Trash. Little, Brown, and Company, 2005. 100 billion plastics bags, if tied together, would go around the earth’s equator 776 times. U.S. International Trade Commission. Polyethylene Retail Carrier Bags from Indonesia, Taiwan, and Vietnam. Publication 4080. May 2009, pg. IV-7. *Calculation is based on the following: 2008 bag consumption, according to U.S. International Trade Commission = 102,105,637,000. Earth’s Circumference = 131,480,184 ft. Average bag length = 1ft. It is estimated that 3 – 5 million plastic bags are used annually in Arcata, CA. Appropedia. “Arcata Plastic Bags.” 21 Nov 2011. http://www.appropedia.org/Arcata_plastic_bags. Plastic pollution has infiltrated our oceans. The system of currents circulates the pollution into concentrated areas, known as gyres, which slowly rotate the water and accumulated trash.